The seven tiny islands of Dry Tortugas are a vital layover for migrating birds traveling between South America and the United States making a staple in the Great Florida Birding Trail. Here you may find a ruby–throated hummingbird, peregrine falcon, yellow billed cuckoo and white-eyed vireo all in one day! Nearly 300 species of birds have been spotted here. 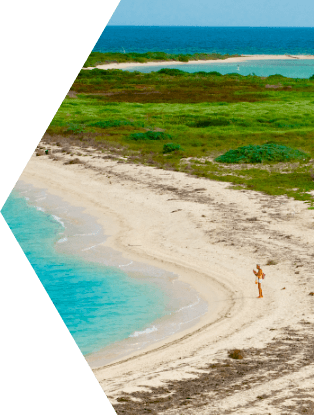 Camping in the Dry Tortugas National Park is definitely an experience of a lifetime! Imagine sleeping under the stars, on an island 70 miles from civilization, with the warm tropical breezes blowing through palm trees and the rhythmic sound of the ocean waves playing in the background. Camping is limited so make your reservations now. Once you arrive at the Dry Tortugas, there are picnic tables where you can place your personal gear and towels. There are a limited number of picnic tables available outside Fort Jefferson, so you may have to share with other visitors. 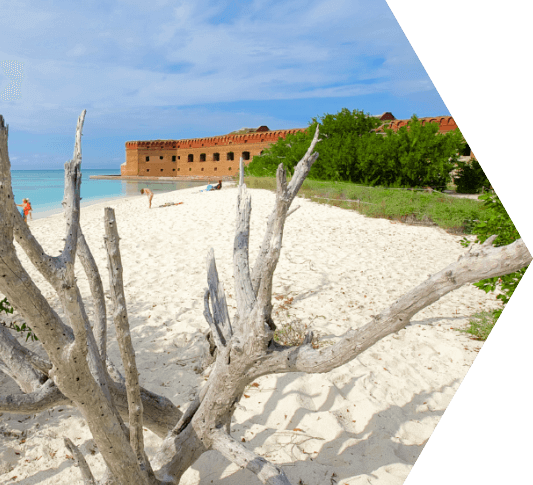 No Key West trip is complete without visiting the best beach in the Florida Keys: Fort Jefferson Dry Tortugas National Park, located just 70 miles west of Key West. 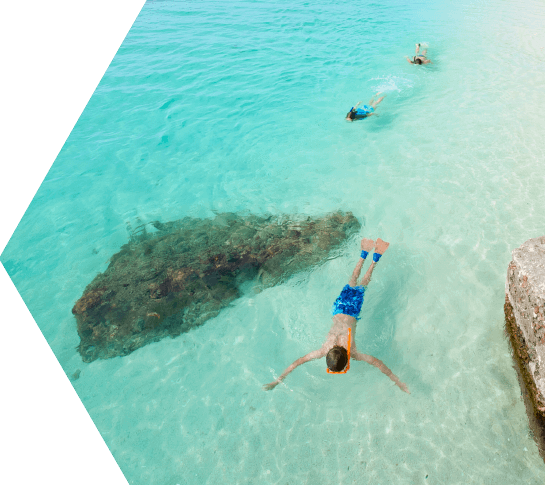 Whether swimming, sun bathing or just plain strolling, you will enjoy the crystal blue waters, swaying palm trees and soft, powdery sand of this island paradise.